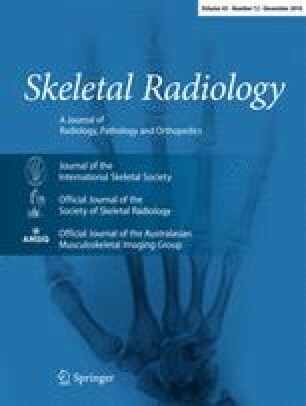 The aim of this study was to evaluate the safe zone for performing blind sternal procedures based on computed tomography (CT) evaluation of congenital midline sternal foramina using multidetector computed tomography (MDCT). This retrospective study was carried out on 1,180 patients who underwent MDCT of the thorax from March 2015 to February 2016. The MDCT images were evaluated in axial and reformatted planes. Morphometry and prevalence of midline congenital sternal foramina (SF) and manubrio-foraminal distance (MFD) were evaluated. The safe zone was defined for a blinded intervention, based on palpable anatomical landmarks. Data were presented in terms of percentage, mean ± standard deviation and calculations were carried out using Microsoft Excel. The prevalence of SF in our study sample was 11.6 %. The majority of SF were located in a typical position in the lower sternal body at the level of fifth costo-chondral junction (CCJ) in 108 patients (78.8 %). The structure directly beneath the SF was mediastinal fat in 73 patients (53.3 %), followed by anterior pericardium in 44 patients (32.1 %) and lung parenchyma in 20 patients (14.6 %). The mean MFD in our study population was 11.90 ± 1.31 cm. Sternal interventions should be avoided at the level of fourth to sixth CCJ, which is considered the danger zone. An intervention at the fourth to sixth CCJ may lead to disastrous consequences in patients who have SF. We acknowledge Dr Hiranya Saikia (statistician), Dr B. Hazarika (chest physician, Dr G. Kushre (anatomist), Dr M. Talukdar (cardiothoracic surgeon) of Assam Medical College for guiding us in carrying this study.